When most people think of Twitter, they think about the fun, quick updates they see from their friends or celebrities. The fact is, they hardly ever think of it in terms of job search. But the truth is it can be a really handy tool for searching for jobs – even work-at-home jobs. Here are five different ways to use Twitter in your job search. 1. Add it to the other channels you are using to market yourself. Most job seekers will set up a LinkedIn profile or clean up and lock down their Facebook presence. But, the more methods you can use for recruiters to find you, the better. Twitter allows you another way to brand yourself. Contribute to thoughtful conversations in your industry. Engage with thought leaders. Publish tweets that link to useful content or an industry blog you help write. Your use of the platform conveys your willingness to stay with the rapidly changing world of social media, too. Just be sure to create a clear, concise description of yourself, choose a professional profile and header photo, and choose a professional Twitter name (this is not the time to get cute with a Twitter handle like @PartyGirl or something). Be thoughtful about what you are tweeting (don’t tweet anything you wouldn’t want a hiring manager to see). Some recruiters use Twitter as one more way to find candidates, so it makes sense to use it as one more way to market yourself. 2. Stay up-to-date on industry trends and your target organization. When you are in job search mode, it's nice to be up to speed on what is happening in your industry or within a particular group you are interested. For example, if the company you are focused on has just won a large contract, mentioning that during the screening or interview process would demonstrate that you have put time and research into your job search. You can also get a good sense of the organization’s culture by following them on Twitter. 3. Connect with people you wouldn’t normally have access to. If there is a particular company or job you are interested in, one way to utilize Twitter is to make connections by “following” an organization’s (or employees who work for that organization) Twitter feed. Since the vast majority of people who use Twitter use it without limits or privacy settings, it makes it different from other platforms like LinkedIn or Facebook where the other person has to accept your request. 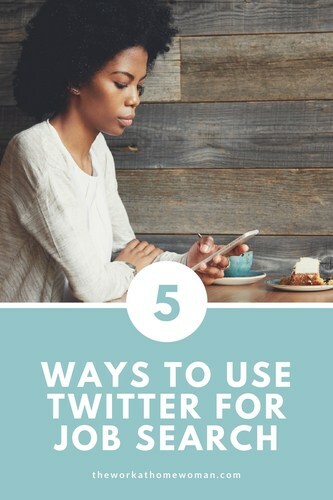 On Twitter, in most instances, you can easily follow that thought leader, CEO, or hiring manager and get a first-hand account of the types of things they are “tweeting.” This gives you an opportunity to engage directly with them or at the least gives you some background about the kind of things they are discussing, retweeting, and promoting. 4. Use it as a work-at-home job search engine. Twitter is not just a micro-blogging platform. It can be a powerful and effective search tool too. You can search important players within the organization (see above). You can search what others may be saying about the organization you are interested in (from both a customer and employee perspective). You can also search specifically for jobs. This is where hashtags come in useful. Searching terms like #remotework, #digitalnomad, #telecommute, #remotejobs, #telecommutejobs, or other variations will help you to find content on mastering your work-from-home job, tips, and guides to make your experience most beneficial and of course, actual job listings. 5. 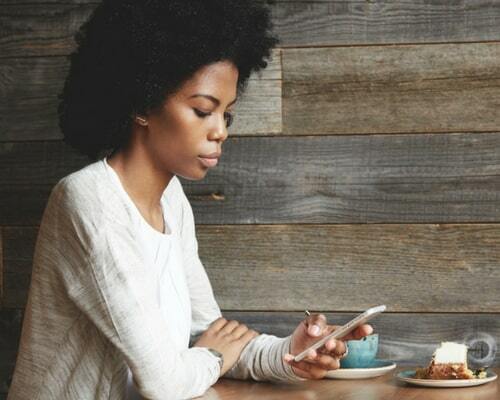 Connect with some Twitter feeds that focus on work-at-home jobs. @Remoteok_jobs – posts a variety of remote jobs it aggregates from their site and others, like Indeed, etc. By implementing some of these steps, you can make Twitter part of your job search strategy. In what ways have you used Twitter to find jobs or land a remote position?